Just as he did last year, William Shatner appeared on Jimmy Kimmel Live to promote “National UnFriend Day,” which took place last Thursday, November 17th. The segment comically walks through the emotional process of being “unfriended” on Facebook, noting how you will no longer see the former friend’s updates or Farmville requests. 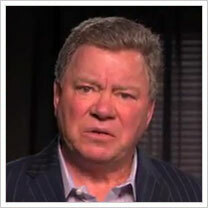 Shatner describes the emotions a Facebook users will go through after being “unfriended.” Those emotions, according to the video, include denial, anger, depression and acceptance. “Know that I will never UnFriend you.” Shatner said as he closed the segment. 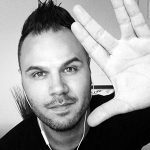 “For as a logical man once said ‘I have been and always will be your friend.” he added as he gave the Vulcan salute. Watch the entire PSA, below. Jimmy Kimmel Live airs weeknights on ABC at 12/11c.